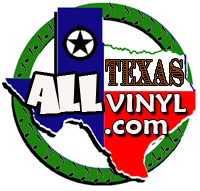 All Texas Vinyl - ALL TEXAS MUSIC- SUPPORTING DIVERSE TEXAS MUSIC! Music Store, CD, Vinyl, Satellite, Web Radio and MUCH more! The Best Little Website In Texas! We have a very special announcement. As of January, 2015, the record label & store known as All Texas Music celebrates its 10th birthday! To celebrate, we are offering YOUR music on VINYL! January 2015 we are announced our collaboration with Hand Drawn Pressing, which is a service to enable musicians to get their music out on Vinyl. This is a very big deal, because the comeback of Vinyl “LP records” restores money to the musicians, and provides a superior audio experience. MP3 use provides an awful audio sound, and is usually stolen to pass around, if not sold for $1 online. It devalues the music and the musician. CDs have been reduced to a business card for live acts, instead of a product of sonic art. We are very proud to be a part of the “new” Vinyl Movement. The services provided by Hand Drawn Pressing are a collection of services which provide economical pricing, plus a full range of advertising services. Options such as colored vinyl,and downloads of music are part of the offering of the Vinyl Service. All Texas Music and Mark Robbins are very proud to join with Hand Drawn Pressing, (Dustin Blocker and Alex Cushing), to provide the musicians of All Texas Music the opportunity to have recordings in the superior Vinyl Format. For further information to Texas Musicians, see our Submissions information in the PDF from the menu of AllTexasMusic.com. Chris has been a D/FW producer a long time and is well known. He operates his new vinyl operation in the Texas Hill Country. His attention to detail and quality are great for folks who want small batch or single units.